Responsibility and Being Like a Breeze | GetAlongWithGod.comGetAlongWithGod | A blog about discovering a God worth knowing. In my last post, Tammy asked a question in the comments section. Reading her question, I knew it stemmed from a responsible person. 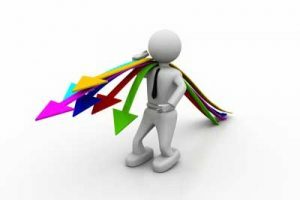 Tammy asked, “Can you share more about ‘living like a breeze’ in relation to responsibility?” The thought wouldn’t have crossed the mind of someone indulging irresponsibility. And amazingly, her question is my very issue. I am in the throes of answering it in my own life. How does a responsible person live like a breeze? It’s easier said than done. If I called someone “breezy,” it would insinuate that they were flighty, flaky, and probably totally irresponsible. Phrases like, “They’re so heavenly minded that they’re no earthly good,” come to mind. And oddly, some even attempt to write off their irresponsibility by attributing it to being Spirit-led. But the facts reveal that there is nothing further from the truth. Surrendering completely to the Spirit to live like a breeze is anything but irresponsible. It’s actually a lot of work. Not effort, but genuine heart work. Control comes quite naturally. I love to play God. We outgrow playing house or GI Joe, but something we never grow out of is playing God. So how do I stop? Entering rest. And how do I enter that rest? I die! Yep, my only solution to being light enough to float and be like a breeze is to die to my rights to live and produce and let the Spirit have full control. Oh, this hurts me so badly. 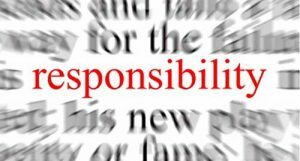 Being responsible is one of my strengths and here God says, “Let go of work.” He might as well say, “Lay down and die.” Yes, that is the answer. I’ve written about it here on this blog before. I mention in “Holy Cow” the way God performed the work of a week in only 12 hours because it was Him not me. My responsibility is just as futile as the laziness of another. At the end of the day, all the strength I can muster in my effort and responsibility is shown to be just as fruitless as the one who laid about getting nothing done. This is the reality of the life of the Spirit. If I was godless, I could probably perform better, but because I am His, I am held to another standard—the Life and Energy of the Spirit. This all means that my exertion is futile and pointless because the only fruit my life can produce comes from Another’s Life, not mine. Again, this chagrins me to no end. I’m not saying any of this with a wagging finger, at least not to anyone else. I am literally in the throes of this. I am responsible for a lot at Shulamite Ministries. I take that responsibility very seriously – a slug I am not. But between you and me, if I am performing the tasks that are set before me in my responsibility, it is sin. Living like a breeze for me is to live as dead and paper thin as a leaf in the wind. This is what it is to live like a breeze. I don’t want it to be this way. I would prefer to do it myself (again, sin!) but His life and doing is greater and more powerful than all my mustering. It’s heinous pride to think that I can do better in my responsibility than God can in His own Life!